It may be a real pain in the “you know what” to evacuate your entire family from your current living quarters should disaster strike. However, that may be your only chance at survival. If you live in a heavily populated area, the fact that 99% of US citizens are not preparing in any way for a disaster scenario could spell doom for you and your family. Your home, apartment or condo could become a death trap, especially if you have shared your disaster preparedness food, water and survival gear plans with anyone. After just a few days of little food and very little water, no power or regulated temperature, even your best friends may start feeling that your disaster preparedness efforts should be benefiting them instead of you. Recent statistics (May 2015) show that only 3 million of the 300 million United States population are preparing for a disaster at any level. This means that in your community, if you have a family of 4 which is actively preparing for a catastrophe situation of any length, there are 396 of your neighbors and nearby community residents that have made no plans at all. Most homes have anywhere from 2 to 6 weeks emergency food supply on hand at most times. 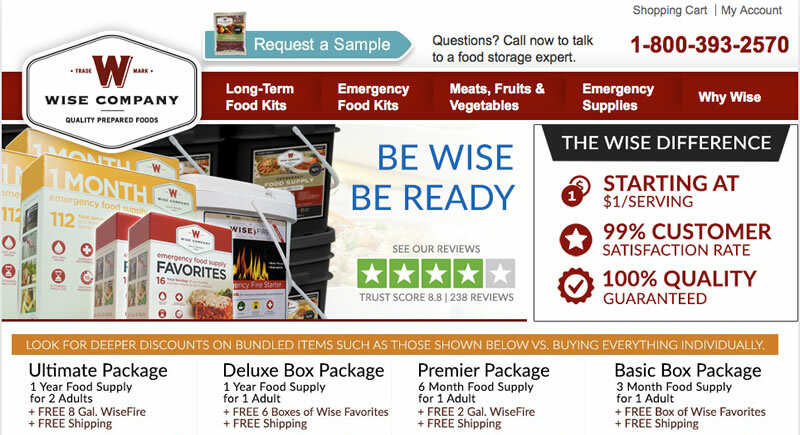 Also, if an emergency situation has any type of warning, people will begin stocking up. However, you are still going to be much better prepared than 99 times the number in your survival party. When even a hint or rumor of your vast disaster prepping stronghold and storage reaches the unprepared, even if you have excellent security and self-defense weaponry and tactics in place, you may be overrun by sheer numbers. 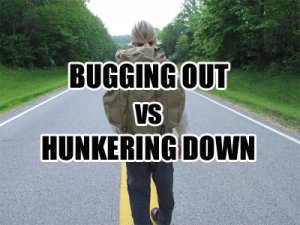 And that means bugging out as opposed to hunkering down. Don’t worry, you do not need to spend hundreds of thousands of dollars building a hidden doomsday bunker hours from your home. 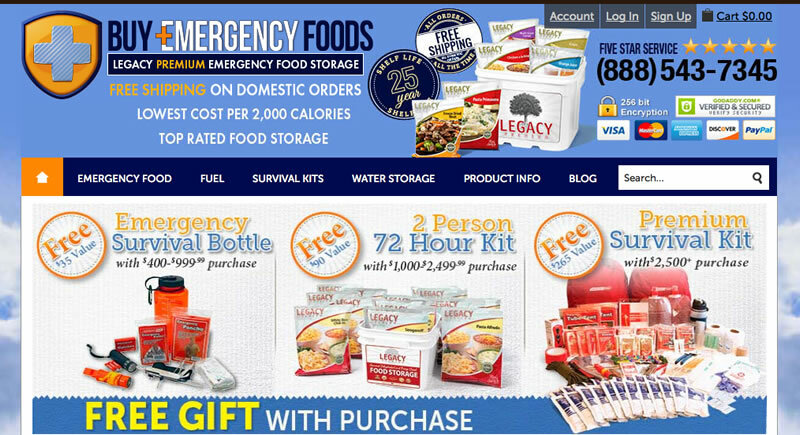 Individual bug out bags or backpacks with a minimum of 3 days of food, water, shelter and survival supplies can get you and your family from your current location to a prearranged bug out shelter. Plan and frequently practice your evacuation. This should include weekend camping trips where you role-play a particular disaster situation. 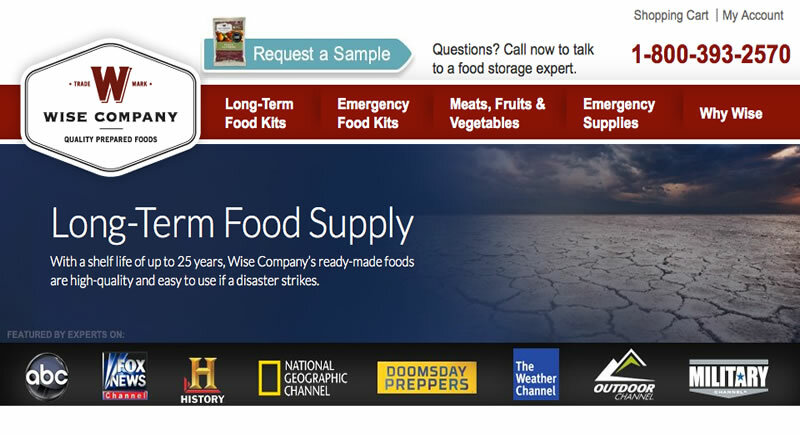 Food and water supplies can be hidden in secure containers at several possible different bug out locations as the leading emergency food companies. You can even “daisy chain” survival gear and emergency water and food rations at several locations which are 2 days apart if your family is hiking. This can get you to a permanent survival shelter that you have prepared in advance. Before you think you lack the financial resources to build a defensible shelter, think again. Simple and even complex shelters can be built using nothing more than mother nature and book-taught survival skills. Survival does not necessarily mean replicating your comfortable, cozy, current living experience. But it does mean planning for both hunkering down and bugging out, practice runs employing both strategies, and a versatile mindset that quickly changes to whatever survival shelter requirements are thrown at you when the lights go out for the last time.